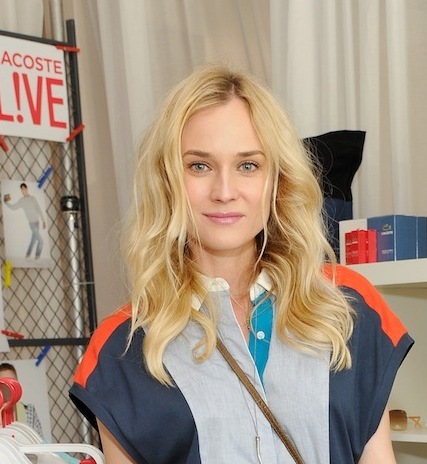 LACOSTE L!VE debuts its 1st Pop-Up shop at the annual Desert Pool Party April 2012, a private event celebrating the Coachella Music Festival in Thermal, California. 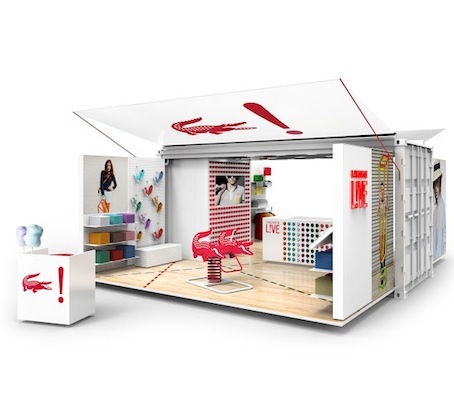 The interactive, eco-friendly “container” store will the contemporary sub-brand LACOSTE L!VE featuring men’s and women’s apparel, an interactive listening station, and cotton candy that color-coordinates with LACOSTE’s classic L.12.12 polos..
the MOBILE boutique is conceived by RJW collective with award-winning design studio Aruliden and LACOSTE store visual VP Mikel Bowman Sustainable production company SG Blocks was tasked to repurpose a 20 foot shipping container, previously used just once to transport dried goods from China. The result is a re-usable structure that not only reduces carbon footprint, but allows LACOSTE the flexibility to mold the space with minimal effort for its diverse brand segments. 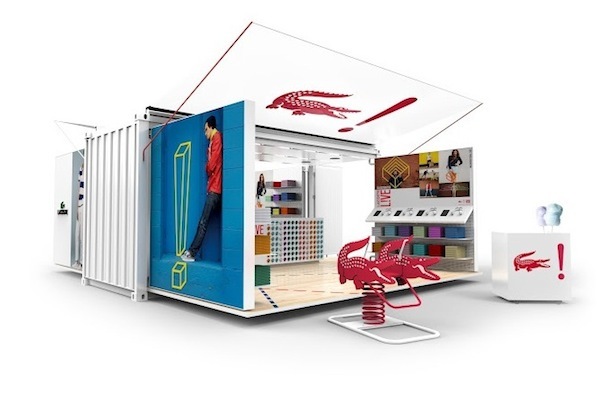 The unassuming metal container unfolds its walls using an electrically motorized deployment system to reveal a vibrant, open-air, 480 square foot retail space. Ten percent of Pop-Up store proceeds from the two-day event will benefit The Voice Project, which supports and amplifies the peace movement in Central Africa. 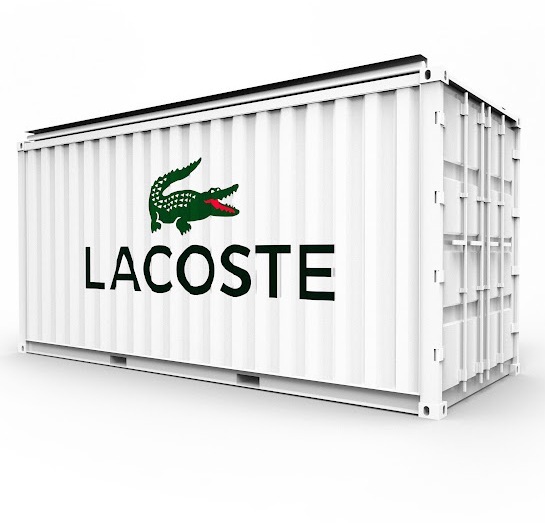 Following Coachella, the Pop-Up will take residence this summer at the LACOSTE L!VE Williamsburg Park Concert Series in Brooklyn, New York.